Natasha Morley: The Magician for SFX Makeup! The month of October is here, ushering in Halloween! This is the month when the air is filled with chills and thrills; a crispy feeling that is accompanied with great energy and so much excitement. This is the time to showcase the witch that lives in you, as you celebrate the best holiday all over the world. During Halloween, you are allowed to get wild and show the world how artistic your imagination can stretch. You can use the chance to explore various themes, costumes, and even trends in makeup that will leave everyone around you terrified. 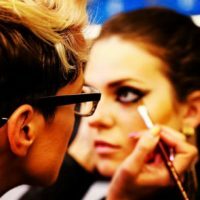 Finding ideas for your makeup and the right theme can be hard, not to mention working with the right makeup and tools. 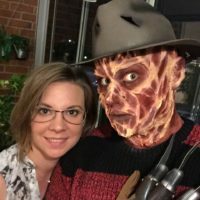 We are thrilled to feature Natasha Morley, a unique FX makeup artist, who has all your makeup needs for Halloween covered. Natasha is renowned for her wizardry and talent in SFX makeup. 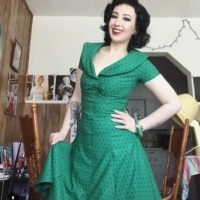 In addition to being a professional artist in makeup application, she has great skills in hair styling, wig making, and special prosthetic FX. Although Natasha originally comes from Cheshire in England, she currently lives in Wales, in a city known as Cardiff. 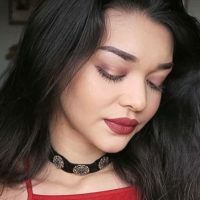 Natasha relocated to Cardiff from her native land when she was only 17 years old, and started her career in the field of creative and dynamic makeup. Afterwards, she was able to do many amazing things, thanks to her growing determination and ambition. She won the ‘NYX UK Face Awards’ and ‘The Brush Contest’ by L‘Oreal’s, thus, projecting her talent, and appreciating her creativity. With the recognition she gained throughout the country for her work, she took her business online, where she currently posts her work. 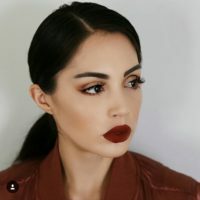 She took advantage of the social media platforms to showcase her work, and has gained a large number of followers, who love and support what she does best; doing makeup. 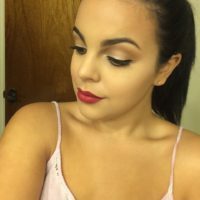 She was inspired by the huge acceptance online to develop her YouTube channel, where she posts her artistic tutorials to help her followers learn her skills and talent in makeup. Natasha is always striving for success and greatness in her career due to her endless determination. When she was only 19 years of age, her work was already being featured in magazines, atop attaining film credits. Her pride lies in being able to share her talent with her large base of followers online by teaching them creativity, positivity and authenticity. 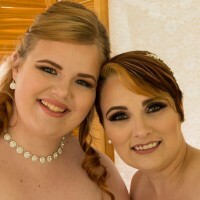 Natasha has created many new and unique SFX Makeup looks, and we are excited to feature an exclusive special FX makeup look especially for Vizio students. I am excited about her partnership with our professional makeup academy because our students have a lot to knowledge to gain from her. Her extraordinary makeup portfolio comprise of a Scarlet witch look, a suit makeup look of Spiderman, the purple sugar skull, and the popular look of bane mask, among many other unique and creative looks. Every look created by Natasha is completely outside the box and original. 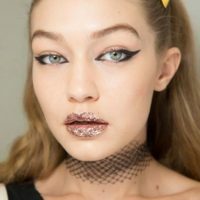 Her makeup tutorials posted online on YouTube are easy to follow, ensuring that anyone using them and following her professional guidance can develop a magnificent look for Halloween. Knowledge is power and always worth sharing. Natasha’s tutorials are geared not just towards students who are in the process of learning various skills in their career line, but also self-taught artists, students, school graduates as well as those learning directly from their mentors. If you want to be noticed worldwide for your talents and skills, you need to think and step out of the box! Do not forget to follow Natasha on her social media links and pages to get inspired like never before. Otherwise, Happy Halloween!